Clay pipes have a long history dating back to the Native Americans of pre-colonial North America. Simple clay tobacco pipes were introduced to the British when Sir Walter Raleigh began returning from his voyages to what we now call Virginia with tobacco from The New World. The association of smoking tobacco, and the clay pipes commonly used, with the Native American tribes caused a great deal of strife in 16th century England. Religious leaders were hard-set against the introduction of smoking to their communities. However, the English working-class disagreed and took to the habit of smoking tobacco from a pipe almost immediately. Crops of tobacco were planted up and down the English countryside and promptly burned by King James the First. Despite the early objections from royalty and clergy, tobacco pipes made of clay became a staple of the English way of life within 50 years of their introduction. 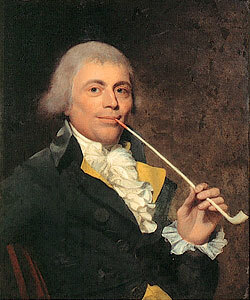 By 1680, nearly every town in England had a pipe maker and clay pipes were the smoking pipe of choice. During the American Revolution pipe smoking declined in popularity for the English, who preferred the less “American” habit of using snuff. However, by the beginning of the Industrial Revolution tobacco pipes were back in fashion on both sides of the ocean. The creation of clay tobacco pipes began to be thought of as art during this time. Designers from all over Europe depicted everything from daily farming habits to mythic gods on clay pipes. By the turn of the 20th Century, clay pipes were once again out of fashion, due to the popularity of cigarettes and the introduction of briar pipes from Italy. The history of clay pipes might have ended here, but for the resurgence of tobacco enthusiasts in the 1970s. Like the more expensive Meerschaum, clay is taken from the ground and considered a pure material because it has no natural smell or flavor of its own. Clay pipes are porous so they naturally filter tobacco smoke, absorb liquid and eliminate odors. Enthusiasts consider hand-rolled clay pipes a superior vehicle for tasting tobaccos because the flavor remains pure. This makes earthen clay pipes unique from their wooden counterparts, because briar smoking pipes impart a unique flavor to the smoking experience. 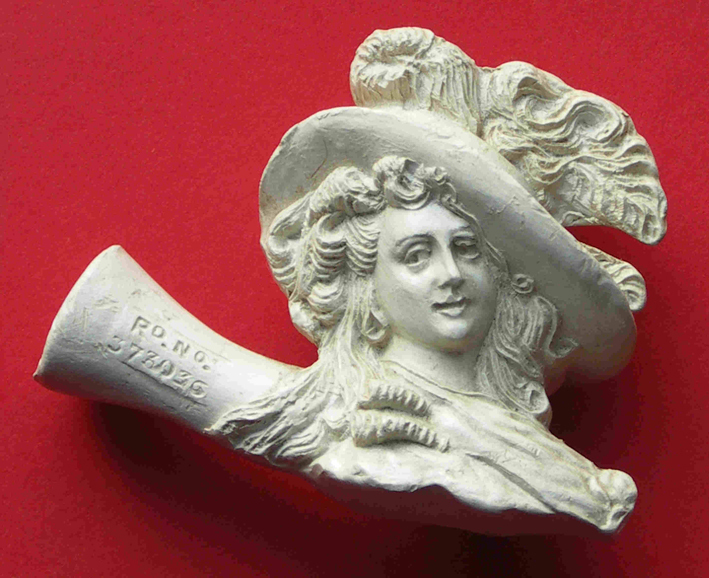 Today, clay pipes are also prized for the authenticity they lend to renactments of The Civil War.